It doesn’t feel like it has even been a week since the Polyglot Conference 2016 in Thessaloniki Greece. 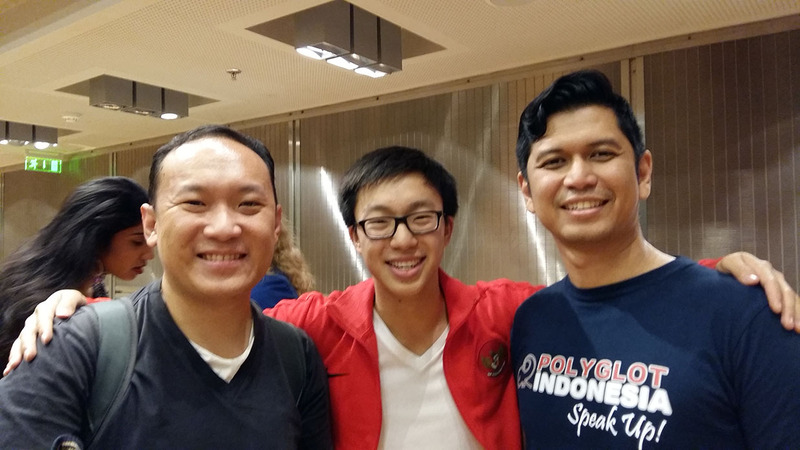 As of yet, the Polyglot community has two gatherings yearly namely, the Polyglot Gathering that takes place in Berlin, and the Conference that is in an entirely new location every year. The Conference is the more formal of the two and even has many language professors as speakers. This year’s was the fourth annual conference and my first time. It was just my luck that I also had the opportunity to be one of the guest speakers. My topic was “How to create your own polyglot community.” I discussed the various experiences that I myself, and our friends at Polyglot Indonesia underwent in the establishing of this non-profit organization, which has been registered as a legal entity in Indonesia. You can find my presentation slides in this link. 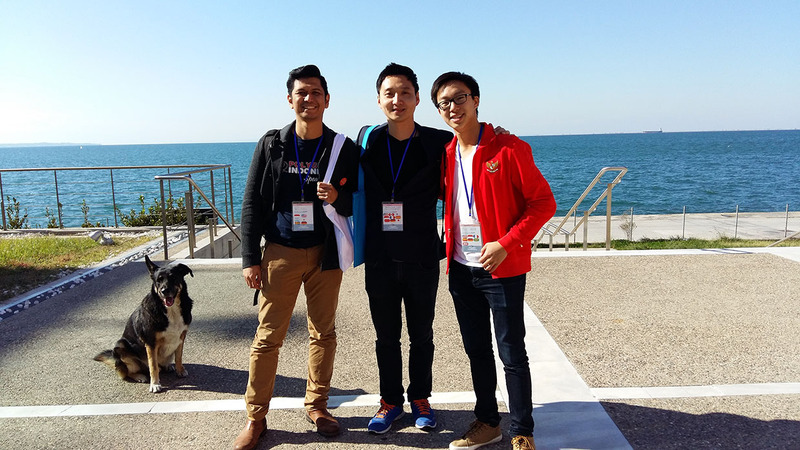 Through this article, I will share my experience of the Polyglot Conference. To tell you the truth, at the beginning I thought that this would just be yet another conference like the many I have attended which usually have very cold and formal environments. The conversations at these sorts of places would always be about business and networking, and not simply to chat and share one’s experiences. Turns out, I was wrong. The atmosphere of this conference was many times more friendly and welcoming as compared to the ones referred to. Here I felt completely at ease and that it was far from a burden to meet new people. I also felt that everyone was interested in you! People were also not at all embarrassed to practice the languages they spoke with a real desire to improve. What shocked me was that this not only occurred on scene, but even when we were eating dinner at the restaurants across town! 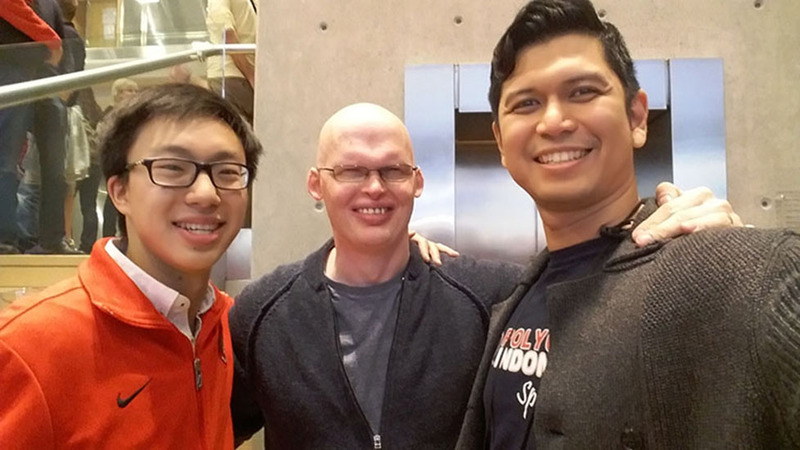 Two days before the opening day, I met up with conference participants and I was surprised that the ambiance was just so fluid even though we had only spoken through the social media app telegram. Personally, I didn’t have any expectations whatsoever from having dinner with people of various ages from 20-40 years old from various different nations. I sat and observed the energy that came from the stimulating and overwhelmingly positive discussions. I was surprised. But not only that, many were very excited for my presentation which was further proved by their presence at my talk. I didn’t think that this would the case after only having spent 5 short hours together. 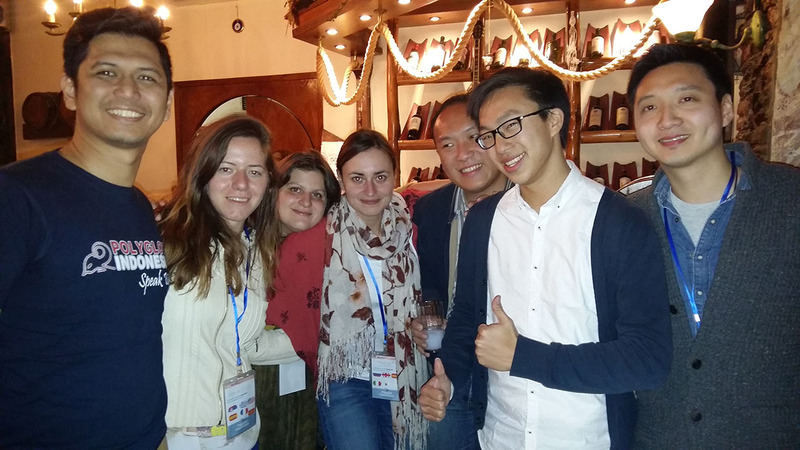 Other than the amazingly fluid environment, I also felt that people had a high level and talent for languages. One amazing example was over the dinner table. At my table I again witnessed positive discussions on languages. 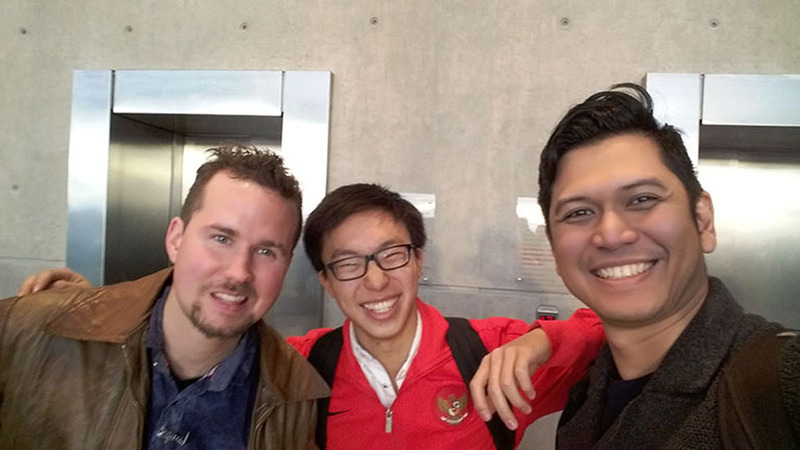 I also saw a friend from Malaysia teach my friends from France Mandarin completely in French. I was also glad to see that they were not afraid to practice and make consistent mistakes. Afterall, if you are not making mistakes, you are not learning. This was a helpful environment filled with positive energy, where each person was not only patient and understanding, but also constantly helping each other. Seeing this helped remind me of the reason and purpose as to why Polyglot Indonesia was founded. When I asked them if they wished this same atmosphere could be replicated not only at polyglot conferences, but wherever they lived, they answered with a resounding “YES.” . 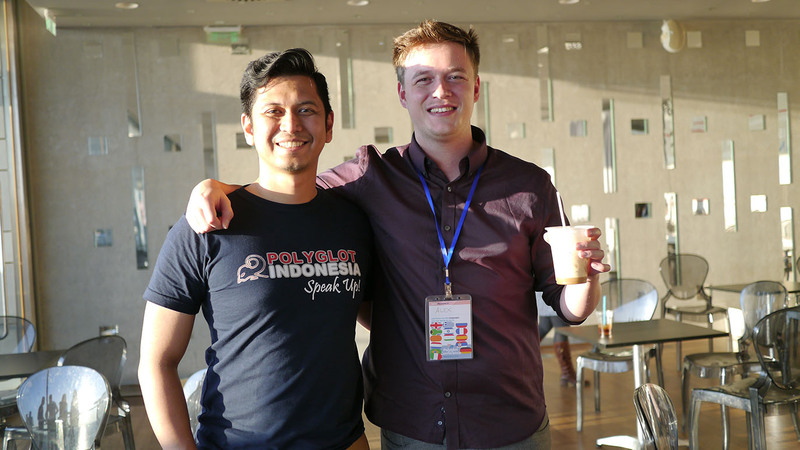 It is here, that I feel Polyglot Indonesia is able to give inspiration to all these people who would love to have their own polyglot communities back home. It is also our responsibility to help them through possible adventures that have already been journeyed and traveled by us, their friends at Polyglot Indonesia. I hope that after reading the above story we can consistently maintain our unity and remind each other of our gifts, while keeping the healthy helping environment that is present at every Polyglot Indonesia event. 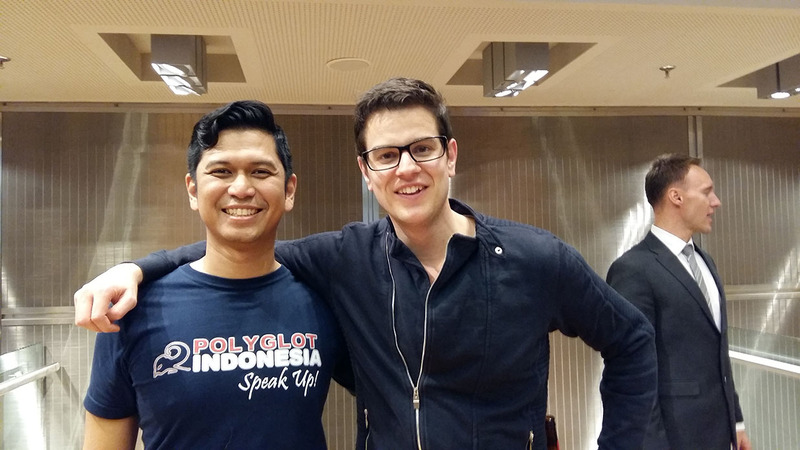 I wish that Polyglot Indonesia will not only be an inspiration to Indonesia itself, but to the whole world.